By the time that Gojira’s Magma was nominated for the Best Rock Album Grammy last year, the French tech death outfit had been around for 20 years. 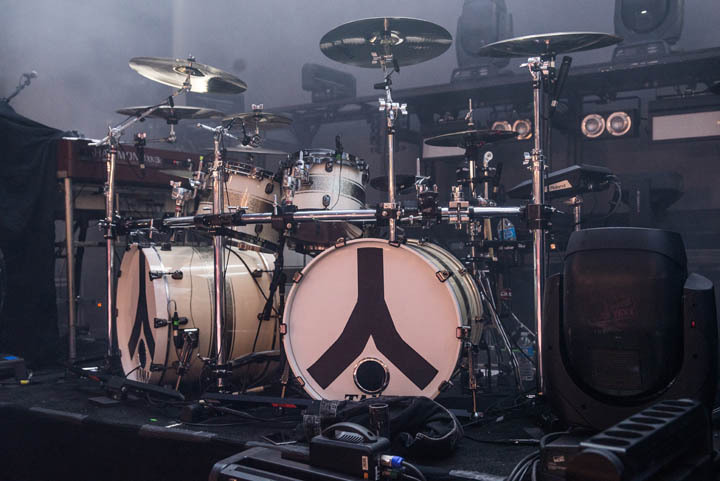 In those two decades, they released six studio albums and recorded three live albums while gaining a sizable international following touring Europe and the US. On that note, Gojira’s live sound is one of its most noteworthy attributes. 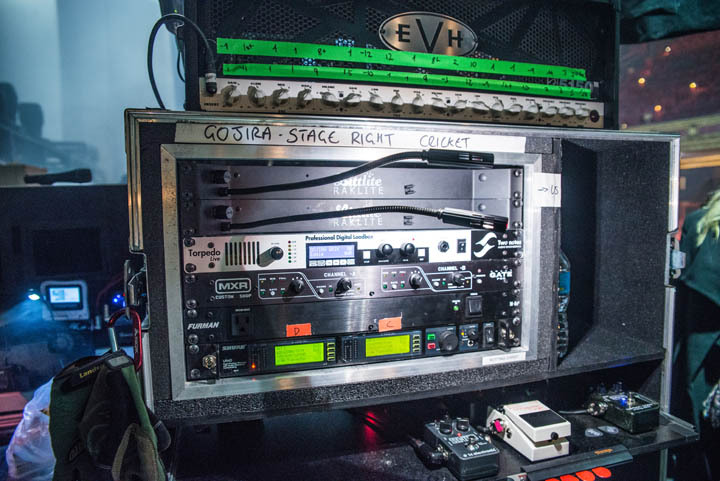 Gojira sounds massive on stage, but the fact of the matter is that the quartet has a pretty bare bones setup. 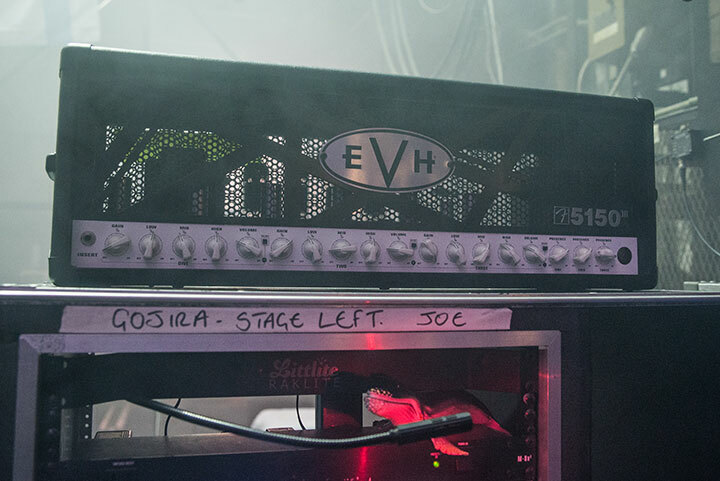 As founding member Joe Duplantier and front man told us in this interview, Gojira isn’t really obsessed with gear. 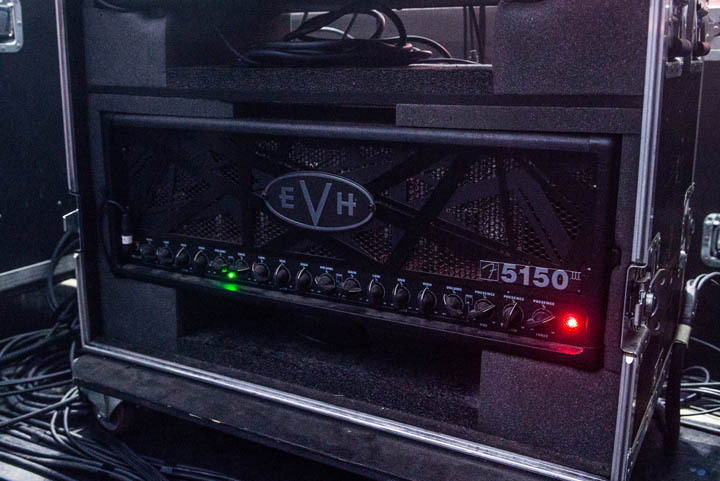 It’s clear that a simple approach to their rigs gives the players a lot more time to think about how to use their equipment in novel ways, as they blend a series of tropes from different metal genres into a sound that’s, simply, Gojira. 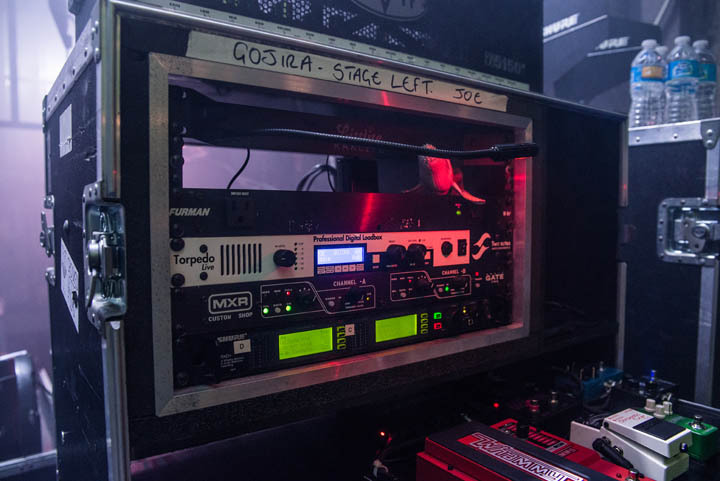 For having such a massive live sound, Gojira runs a relatively simple setup. Is that by choice or out of necessity? Our approach to sound is very simple and organic. A good guitar, a good amp, a tuner, and go. None of us are geeks in the band. We usually simply stick to what we find first and never dig too much. We have an awesome crew around us that always makes sure we stay relevant and introduces us to the good stuff that we shouldn't ignore. Thanks to my guitar tech and TM, Taylor Bingley (aka Killer Bongley), I'm confident that I'll never look or sound like a loser on stage. 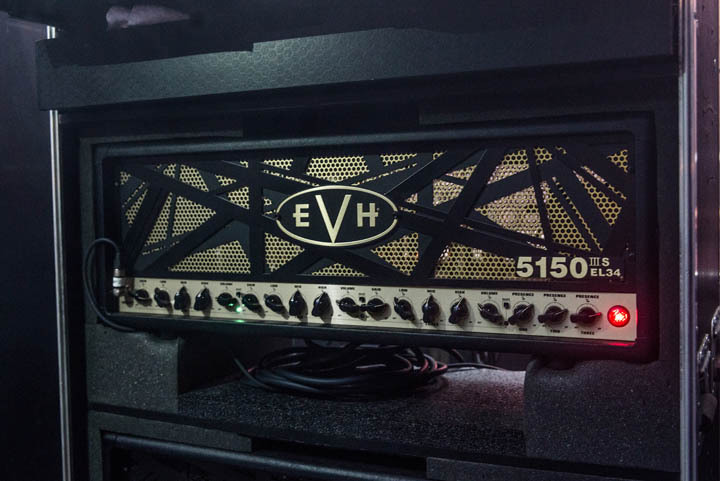 For your guitars, you are running both the EL34 and 6L6 versions of the EVH 5150 III. Are you using each for different purposes? Yes, exactly. Two heads, two different purposes. 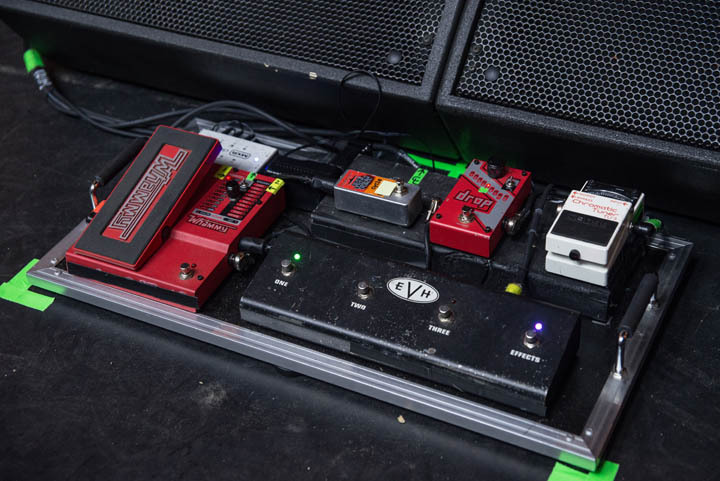 After my pedals, the signal is split to both amps using a Lehle P–Split. The EL34 head goes to my cabs on stage for my stage sound. The 6L6 head goes to a Two Notes Engineering Torpedo load box/cab sim, then through to our Box of Doom ISO box for our FOH and monitor sound. Our FOH and monitor engineers then have the choice to blend those sounds or use them individually for specific songs or parts. 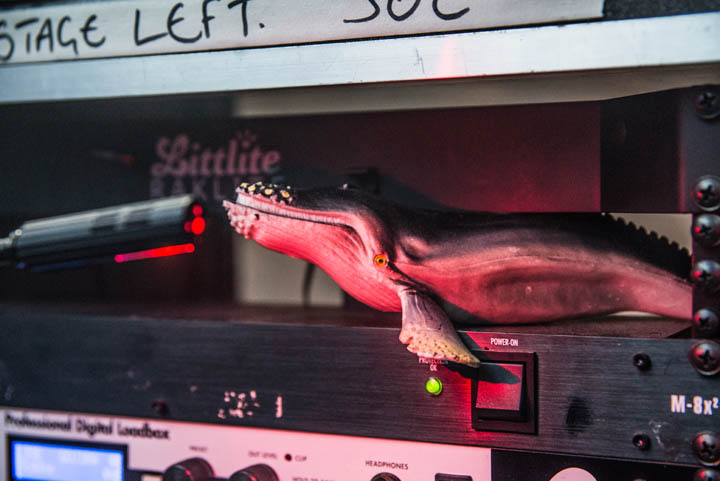 Also, if the Torpedo ever goes down or a speaker blows in our ISO box, we have an instant backup option available at all times. 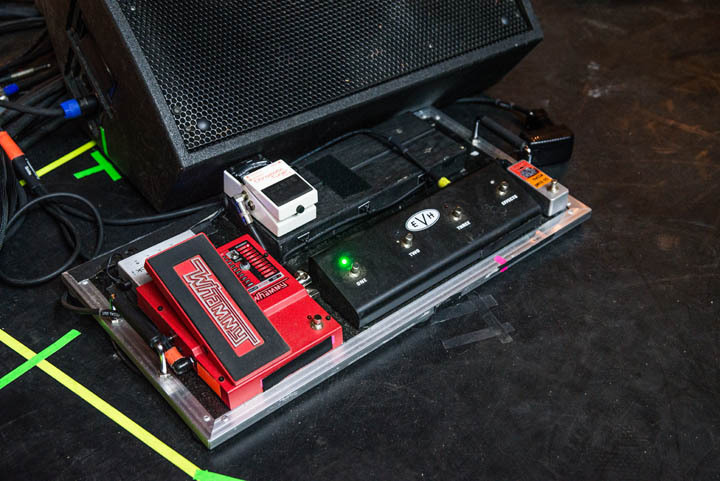 Rather than the ubiquitous TS9 Tubescreamer, Jean–Michel [Labadie, bassist] is using the rather underloved TS7 with his bass. Why the TS7 over other versions of the Tubescreamer, and how did you first start using one? He wanted to have a distorted bass sound when Gojira started and went through at least 20 bass overdrives and distortions, but nothing seemed to fit. 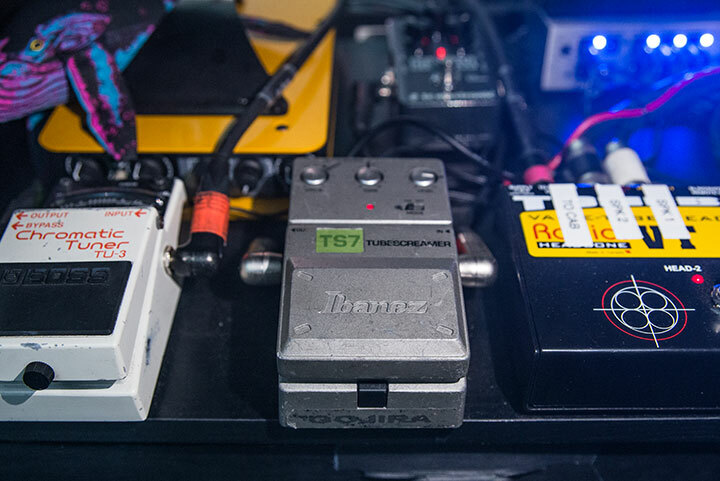 He then experimented with a bunch of guitar pedals, and, sure enough, the classic TS7 ended up owning them all. Jean–Michel attacks the strings very hard, and a lot of the other pedals had too much compression. The TS7 signal is solid through and through. We have TS9s on the road with us as backups, but we still scour the internet for used TS7s. 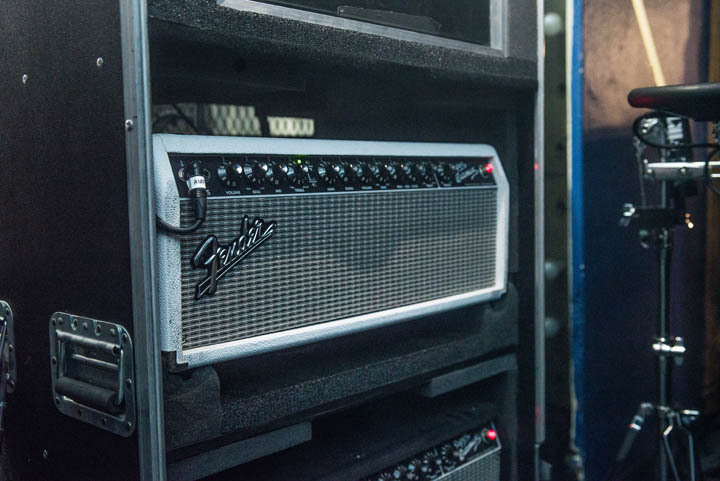 How does this rig differ from what you use while touring Europe and the rest of the world? In fact, we now have a full "A Rig” for the US and "B Rig” for Europe. Aesthetically, they are a bit different in terms of flight case construction and pedal layout, but the contents and gear are identical. And how different are the rigs you’re using on the road than what you used in the studio to record Magma? They're almost identical. 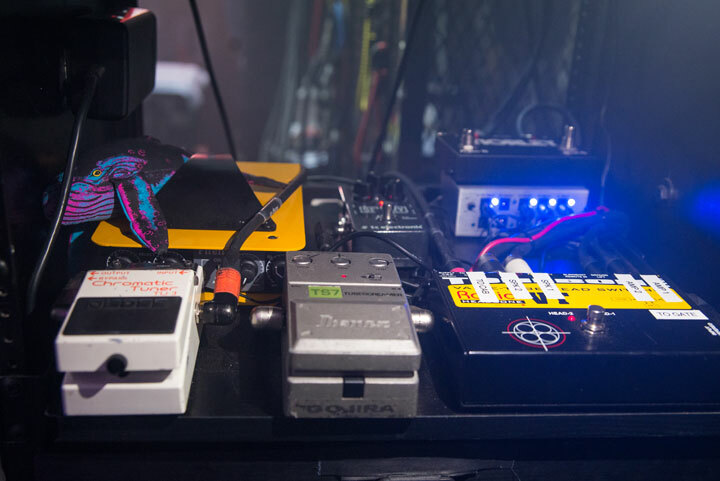 Live, we use MXR, TC Electronics, Digitech, and Boss pedals, where in the studio all of those with the exception of the Digitechs, which are replicated with plugins. Aside from that, all the guitar and bass you hear on the album is exactly what we play on stage. It's important for us to keep our sound consistent.